204 pages | 7 B/W Illus. Recognising that creativity is a major driving force in the post-industrial economy, the Chinese government has recently established a range of "creative clusters" – industrial parks devoted to media industries, and arts districts – in order to promote the development of the creative industries. This book examines these new creative clusters, outlining their nature and purpose, and assessing their effectiveness. Drawing on case studies of a range of cluster models, and comparing them with international examples, the book demonstrates that creativity, both in China and internationally, is in fact a process of fitting new ideas to existing patterns, models and formats. 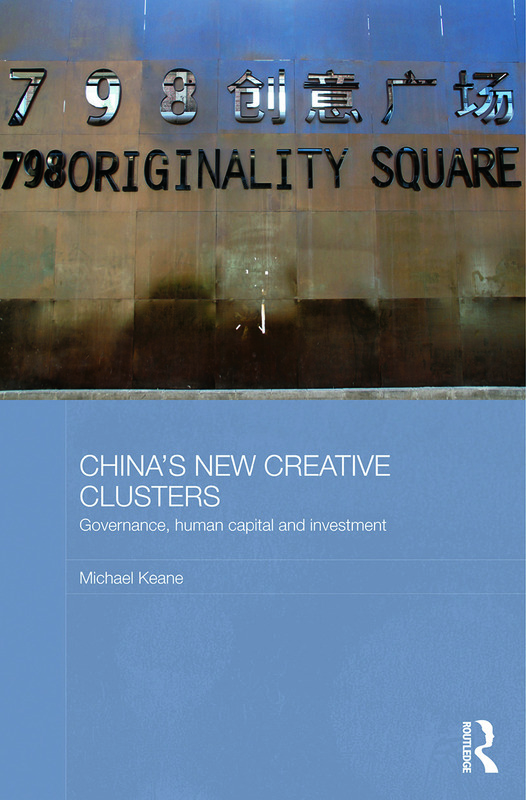 It shows how large and exceptionally impressive creative clusters have been successfully established, but raises the important questions of whether profit or culture is the driving force, and of whether the bringing together of independent-minded, creative people, entrepreneurial businessmen, preferential policies and foreign investment may in time lead to unintended changes in social and political attitudes in China, including a weakening of state bureaucratic power. An important contribution to the existing literature on the subject, this book will be of great interest to scholars of urban studies, cultural geography, cultural economics and Asian studies. "Keane’s latest book on ‘creative clusters’ raises important questions, and these questions alone make this a valuable and durable study for researchers and professionals working on China." "the book is a well-grounded account of how creative economy is implemented in China"
"Overall, it is an extremely stimulating read, laying out a rich repast of new insights into the relevance the MBH had for the time of its composition and continues to have today. This is a book no MBH scholar can ignore." Michael Keane is an ARC Centre Fellow at the Australian Research Council Centre of Excellence for Creative Industries and Innovation, Queensland University of Technology, Brisbane. His research interests include China’s cultural and media policy, creative clusters in China and East Asia, and East Asian cultural exports.